A file with .pdf file extension is called PDF (Portable Document Format) file. Nowadays PDF files are frequently used in important documents such as tax papers, bank statements, and other forms of documents that require the user to fill in data. There is a usual question that how to read data from a database using sql statements and write that data to a PDF document. 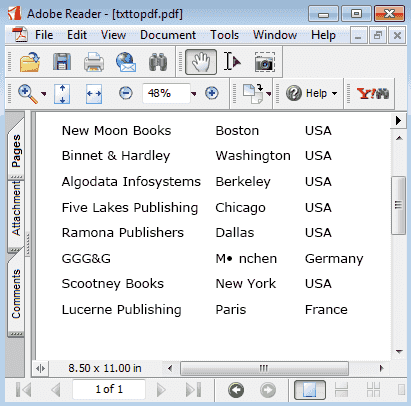 PDFsharp is the Open Source library for creating and modifying Adobe PDF documents programmatically. Here we are using Pdfsharp library to generate the PDF document, before that we have to read the data from Database. So we create connection string and sql for doing this. Retrieve the data and store it n a Dataset. 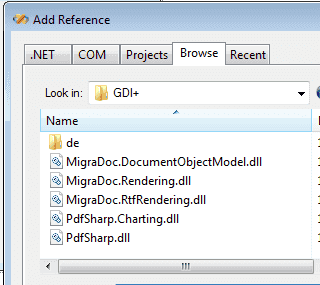 The next step is to create and initialize the PDFSharp Object to create the pdf document. Finally we retrieve each row from the dataset and write to the pdf file. The following C# source code shows how to retrieve the data from database and write to the pdf file.